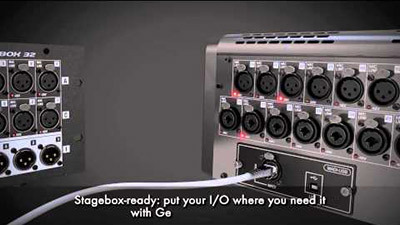 Soundcraft Mini Stagebox 16 gives you an easy, affordable stage-connectivity solution. 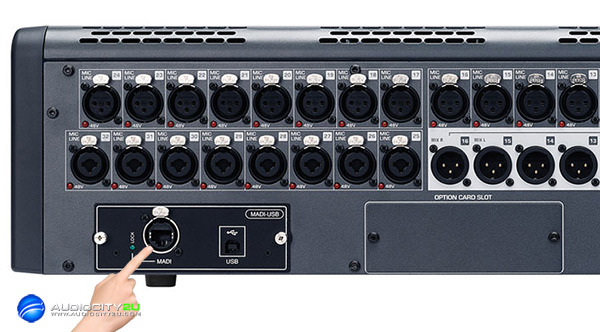 The Mini Stagebox 16 is a 2U chassis with 16 analog mic/line inputs and 8 line outputs for a 16 x 8 matrix. Mini Stagebox units interface with any of the Soundcraft Si Expression, Si Compact, Si Performer, Si Series and Vi Series consoles via an included MADI card fitted to the option card slot. It sports an integral PSU, making it completely self-contained for comfortable stage-side placement. Expand your live mixing capabilities with the Soundcraft Mini Stagebox 16.